All Pittsburg homes currently listed for sale in Pittsburg as of 04/25/2019 are shown below. You can change the search criteria at any time by pressing the 'Change Search' button below. "OPEN HOUSE SATURDAY 04/27 FROM 12 PM - 3 PM! WHAT AN OPPORTUNITY! STUNNING VIEWS FROM THIS HILLTOP LOCATION! BEAUTIFULLY MAINTAINED FAMILY / EXECUTIVE HOME! SPACIOUS OPEN FLOOR PLAN! GUEST SUITE AND BATHROOM DOWNSTAIRS...LARGE LOT WITH NO REAR NEIGHBORS..READY FOR YOUR CREATIVE YARD & LANDSCAPING IDEAS. COMPLETELY FENCED YARD WITH SWEEPING UPSLOPE..VERY PRIVATE SETTING..NICELY MAINTAINED STREET AND GREAT NEIGHBORHOOD! CLOSE TO BART & HIGHWAY 4 FOR EASY ACCESS TO BAY AREA! A MUST SEE!" "Move in ready! Newly renovated 4 bedrooms 3 bath with open and bright floor plan. Beautiful kitchen set up with quartz counter tops, back splash, stainless steel appliances, new cabinets, tile flooring and recessed lights. 3 bedroom 2 baths on main floor. Junior master suit on upper level with walking closet and full bath. Upstairs also offers a large room with natural lights, surrounding views and balcony perfect for gathering and entertainment .Freshly painted inside and outside. New roof and HVAC. Great neighborhood! Lovely home waiting for new owners to enjoy. A MUST SEE!" "Open House: Sunday, April 28th FROM 11-1pm. This charming Single Story 3 bedroom, 2 bath home is a MUST SEE! Great location, close to parks, schools, shopping and recreation! New Paint, New Carpet, and Recently Updated Kitchen and baths. Nicely landscaped yards with lots of space for play, gardening, entertaining, and also affords potential Boat/RV access and storage. Don't miss out on this one!" "Great Property! 3 beds and 2 baths. Corner Lot. 7,000 sqft Large backyard perfect for entertaining. Quite neighborhood. Easy access to shopping, dinning, Freeways, Schools and much more! Perfect for a first time buyer or investor! Hurry on this one don't miss out!" 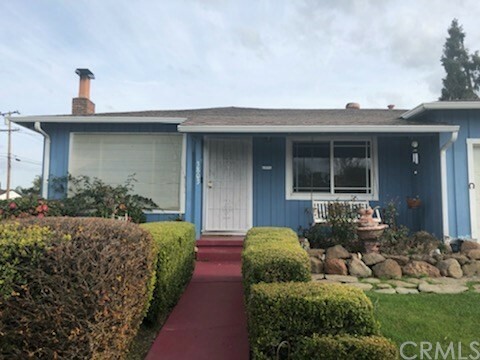 "This beautiful home has been lovingly cared for with new interior and exterior paint, new wood laminate flooring, new furnace and new water heater. Enjoy the spacious lot with very little traffic on the non-through street. Easy access to shopping, dining, freeways, schools, churches, community parks and public services such as the DMV." "WOW PRICE! ONE YEAR OF HOA DUES INCLUDED IN SALE! Single story and picture perfect! Great condition, updated bathrooms, remodeled kitchen, granite counter, oak cabinets, tile flooring in common areas. Large master bedroom with 2 large closets and access to backyard. Backyard patio and as close to the community pool as you can get, without it being IN your backyard. Community tennis court and easy walk to Marina, downtown restaurants and shops. Corner lot with great curb appeal. 2 car garage. This won't last at this price! Just move right in! Make us an offer we can't refuse." "Adorable Bungalow home with some modern updates with original charm combine to make this home truly special. Inviting front porch with a large living room, open kitchen, family room with fireplace for those cold winter days, 3 bedrooms, 1+ bath, and inside laundry. New interior paint, laminate flooring. Carpet in Bedrooms. Spacious covered patio for year round use. Close to freeways, shopping, dining, schools and BART. Open House Saturday, April 27th & Sunday, April 28th 1 - 4 pm." "This 3/1 Traditional home is located in desirable neighborhood because of its close proximity to schools. It has been freshly painted inside & has new flooring. Large backyard flows out from kitchen. Good for entertaining and completely fenced."